Adobe has announced it is the end of the Flash app on Google Play, with further updates for the plug-in set to be available only to those who have the app downloaded on their phones. Adobe announced back in November 2011 that it would not support mobile going forward, which meant Android 4.1 Jelly Bean wouldn't have any Flash support, so its decision to drop out of the mobile market isn't a surprise. But just in case we all needed reminding, it put up a blog post confirming that as of August 15, the Flash app would not be available through Android's app store. "Devices that do not have Flash Player already installed are increasingly likely to be incompatible with Flash Player and will no longer be able to install it from the Google Play Store after August 15," explained Adobe. "The easiest way to ensure ongoing access to Flash Player on Android 4.0 or earlier devices is to use certified devices and ensure that the Flash Player is either pre-installed by the manufacturer or installed from Google Play Store before August 15." 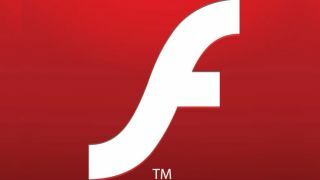 Although Adobe is taking drastic measures when it comes to mobile, this isn't the end of Flash. Instead, focus is going to be put into the desktop versions of the plug-in and it is still keeping in with the mobile crowd, but putting its efforts into mobile apps packaged with Adobe Air instead.